Paisajes Desconocidos, Collages by Humberto Batista. Event Location: Polanco Gallery, 393 Hayes Street, San Francisco. And here's a link to more of his collages. If you can't get to the exhibition in person, do visit it online! 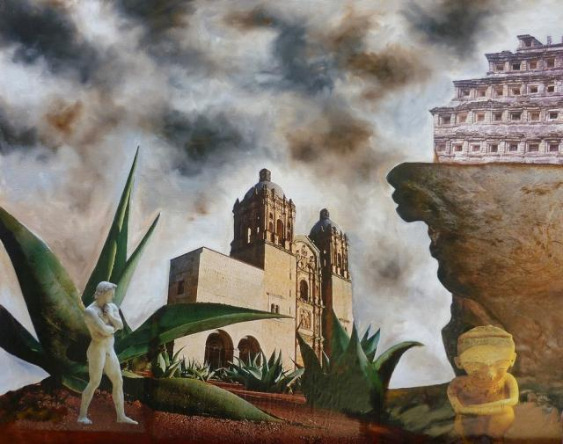 ​​Art​​ ​​Workshops​​ ​​in​​ ​​Oaxaca​​ ​​featured​​ ​​at​​ ​​InfoHub.com​​ ​​+​​ ​​GIVEAWAY!!! Unordinary Trip of the Month! The exhibition of assemblages by Humberto Batista at Arte de Oaxaca will be extended through the month of July. Our Website is finally up and running! Read about us in Budget Travel!